Mystery of Philistine homeland solved? As civilization collapsed 3,200 years ago, the Sea People – of whom the Philistines were but one - arose, seemingly sweeping away all that stood before them. Now we know where they came from, and it’s not what scholars thought. Back then, the mighty Hittite kingdom spanned much of the territory known today as Turkey and Syria. Then, as the Late Bronze Age graduated into the Iron Age I, around 1177 BCE, the entire civilization of the Mediterranean and the Near East collapsed – and the "Sea Peoples," including the Philistines, ascended. 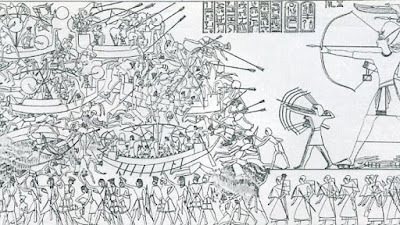 Until now, the "Sea Peoples Invasion" theory postulated that the Philistines arose and swept over the region from a base in the Aegean. 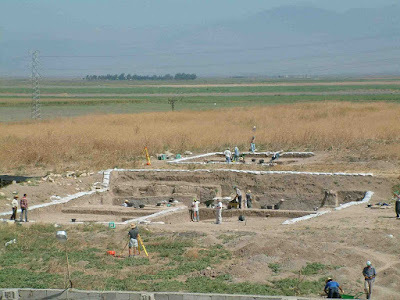 But recent discoveries at a remote archaeological site in southeast Turkey indicate that the Philistines were already there as the great civilizations collapsed. Amidst the thunderous implosion around them, the Philistines somehow thrived – and supplanted the Hittite rule in that area, apparently making it their home base. 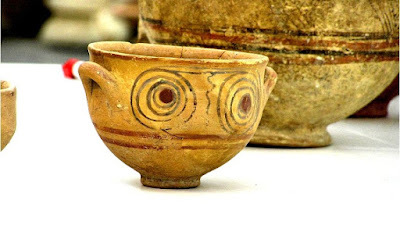 This unexpected conclusion is supported by new explanations of anomalies found at Tel Tayinat, an archaeological site in the Amuq plain, which spans the border of modern Syria and Turkey. Tel Tayinat contains the ruins of a city going back thousands of years. Evidence found at the site proves that its ancient name was Kunulua (or Calno). 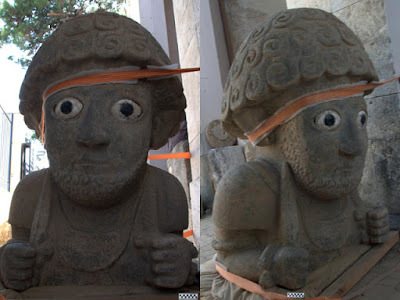 Until recently, it was assumed that the site was Hittite because of its location, and that after their empire collapsed its residents evolved into the "neo-Hittite" culture which continued using the ancient names, artistic styles and symbols of the Hittites. Who exactly the "neo-Hittites" of Kunulua were remained a mystery – until now. They were, archaeologists are starting to believe, the Philistines. 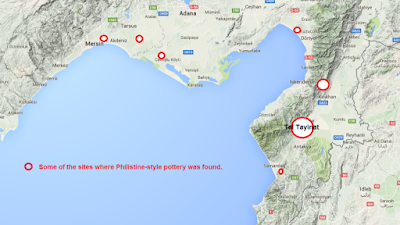 The new theory that Tel Tayinat was a Philistine capital arose from anomalous pottery findings and other oddities found in excavations headed by Prof. Timothy Harrison of the Toronto University's Department of Near and Middle Eastern Civilizations. 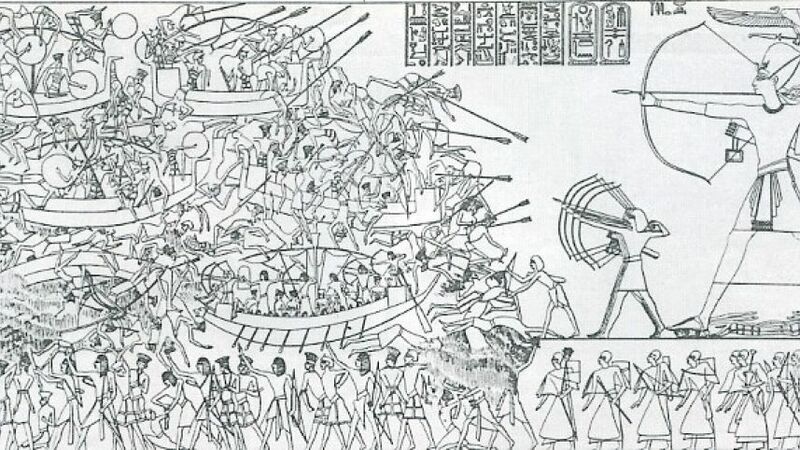 The Philistines were one of many groups referred to in ancient records as the "Sea Peoples". 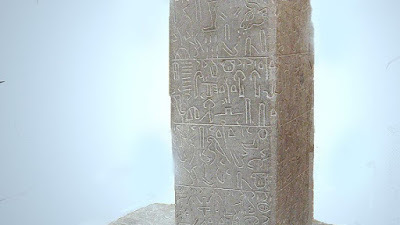 As listed on the mortuary temple of Ramses III at Medinet Habu, they included the Danian, Ekwesh, Lukka, Shekelesh, Sherden, Teresh, Tjeker, Weshwesh and the "Peleset" – "Plishtim" in Hebrew, or, the Philistines. One reason Tel Tayinat had been assumed to be Hittite is its inland location, some 25 kilometers distance from the Mediterranean shore. The Philistines, who had famously plagued the peoples around the Mediterranean basin, had been thought to mainly stick to coastal areas. 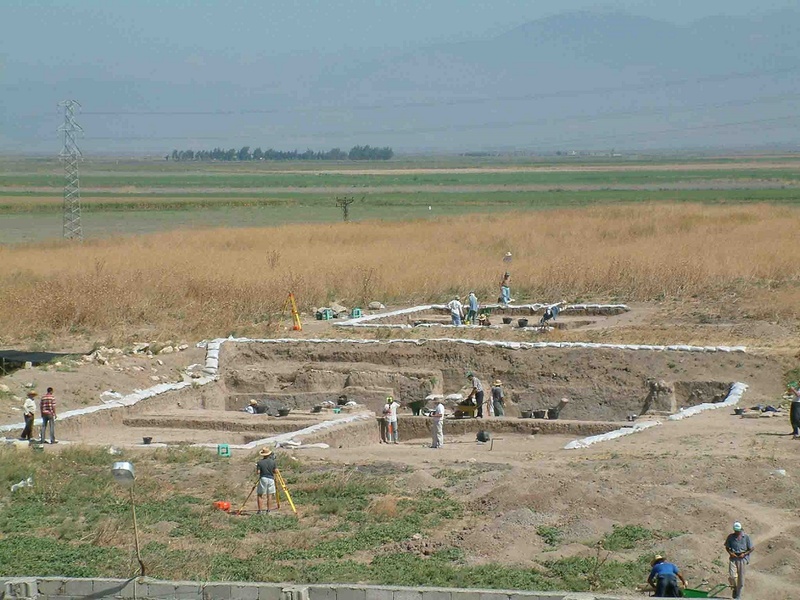 The first anomaly that in retrospect argued Kunulua was Philistine city was vast amounts of unique pottery called Late Helladic IIIC ware (or Mycenean IIIC ware) – which is one of the markers of the Philistines, and is found in abundance in other Philistine sites, in Israel in particular. The original excavation of Tel Tayinat in the early 1900s had uncovered layers of this stuff, but no one knew what to make of it. 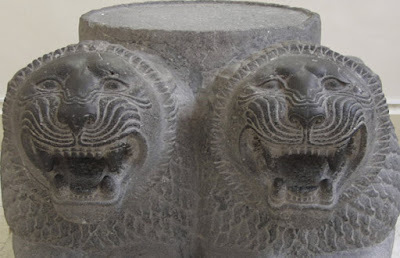 Some suggested the Hittite inhabitants had imported it as a luxury good. Other distinct Philistine markers found in large amounts in Iron Age levels at Tel Tayinat including unperforated cylindrical loom weights. Mere "international trade" by Hittites couldn't explain the sheer amounts of these items and pottery remains found at Tel Tayinat and its surroundings. Petrographic analyses proved that this pottery was actually locally made and was used for a different way of food preparation by the locals. 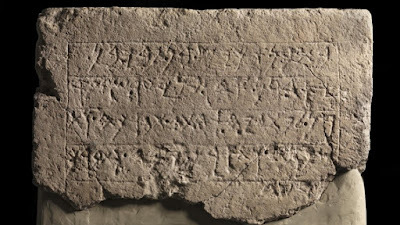 More than one inscription found at Tel Tayinat, written in the Luwian language used by the Hittites, referred to a mysterious "King Taita", ruler of "Walistin" or "Patin"; and an earlier find in Hamath, Syria spoke of a King Taita of "Walistin." No one had ever heard of him. 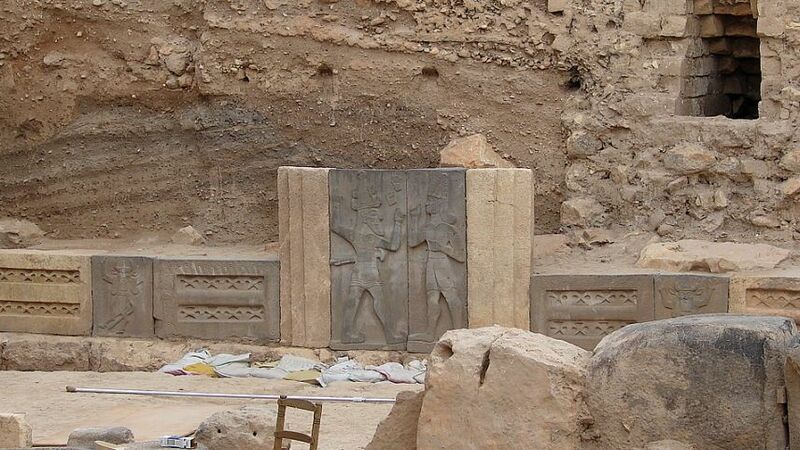 It seemed a new kingdom with a new and powerful king was being uncovered at Tel Tayinat. 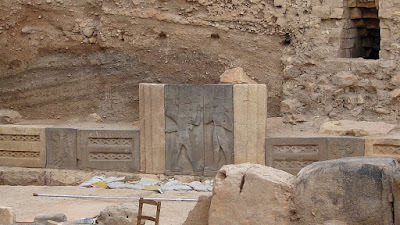 A breakthrough came while excavating the temple dedicated to the storm god Adda or Hadad in Aleppo, Syria, in 2003: Kay Kohlmayer, the site’s director, found a relief and dedicatory inscription to "Taita, King and hero of Patastini" and another to "Taita, conqueror of Carchemish". Taita had restored this ancient temple and had a dedicatory inscription made of his great achievements. Based on this new discovery, the reinterpretation of one Luwian hieroglyphic sign and the amassing archaeological evidence John David Hawkins, a Luwian expert, thinks that everybody had been reading these inscriptions wrong, and that the ‘W’ sound should in fact be read as a ‘P’ making Walistin, Palistin, "Patasatini" should be read as “Palasatini" or "Palastin". That would correspond with the ancient Egyptian mention of "Peleset" as one of the ten Sea People groups. 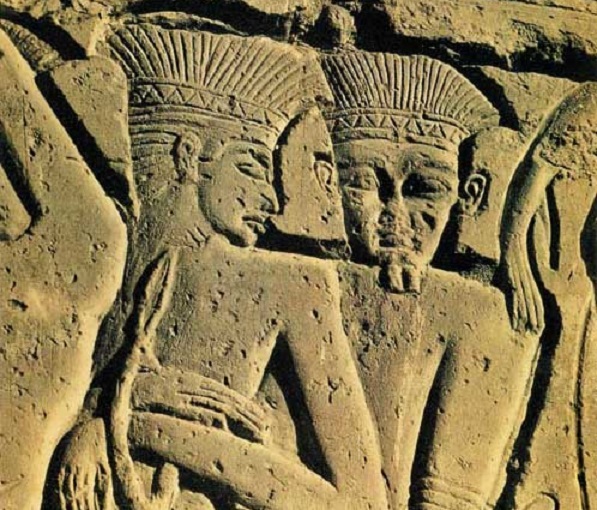 In fact, the Hittitologist Prof. Itamar Singer had long thought the Sea Peoples - or at least some of them – came from western Anatolia. There just wasn’t enough evidence to prove him right, until now. 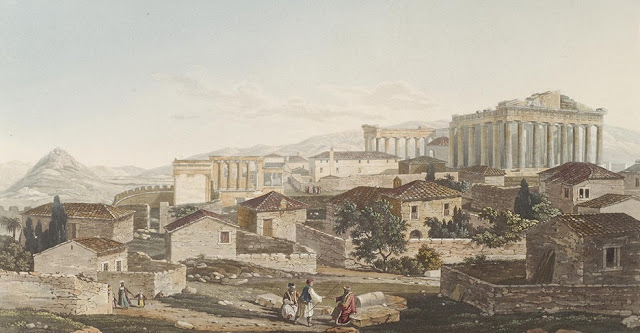 Rather than the "Sea Peoples Invasion" theory, Toronto's Harrison suspects that over time, Philistines migrated in small numbers to the area, and assimilated with the locals. Their arrival was a complex scenario, he says, not some Hollywood movie-type blitz. 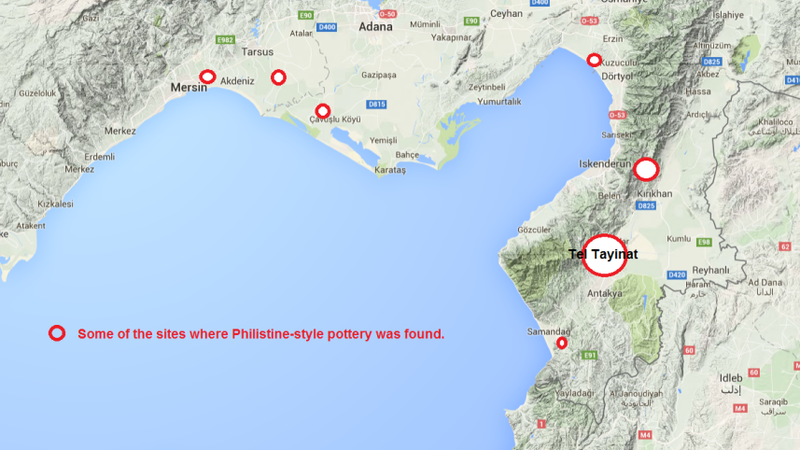 Not only was the homeland of the Philistines found in Tayinat. So, possibly, was evidence of the historic veracity of the Prophet Isaiah. In 2012, the University of Toronto team uncovered the top half of a buried life-size statue of the Hittite king Suppiluliuma. 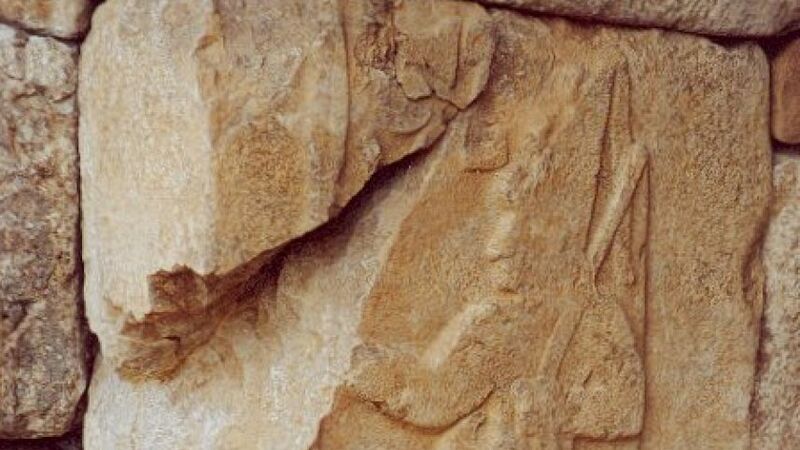 A Luwian inscription on the statue's back recounts his exploits, linking him with a ‘Patinian’ king who fought against the onslaught of Assyria's Shalmaneser III in 858 BCE. It was common for Hittites to have colossal statues guarding the entrances to cities. 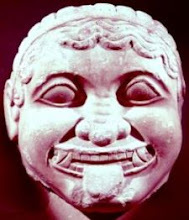 But when the Assyrians conquered the area in 738 BCE, they would bury sacred items, such as this statue. Scholars have long suspected that Prophet Isaiah’s oracle against Assyria ("Is not Calno as Carchemish?... As my hand hath found the kingdoms of the idols," Isaiah 10:9-10) alludes to the Assyrian destruction of Kunulua. The buried statue of Suppiluliuma may actually be the physical manifestation of this historic event. 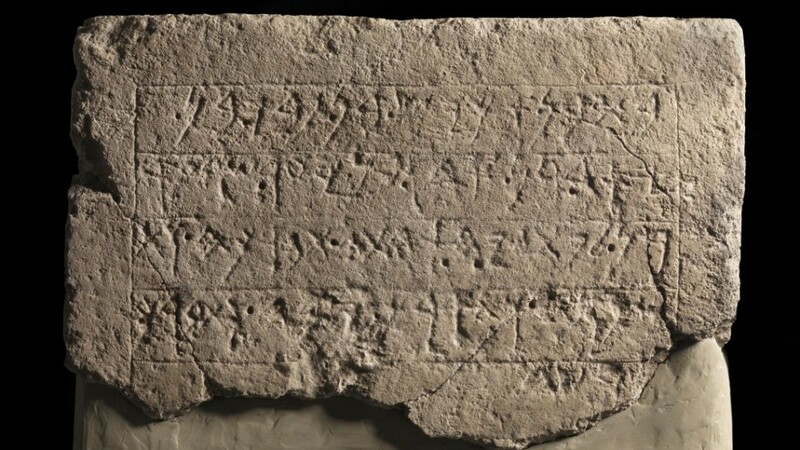 The Ekron inscription, dated to the seventh century BC, on the other hand, suggests the Philistines still remembered their roots in the Aegean centuries after they sailed east . 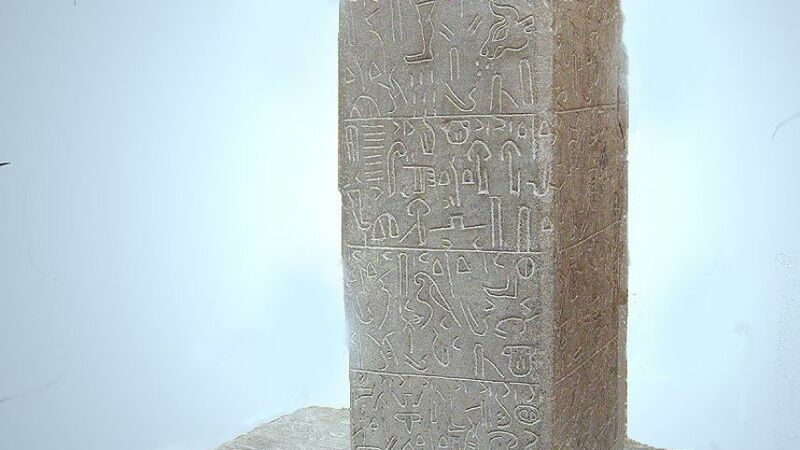 The inscription commemorates the construction of a temple by the local ruler "Akish, son of Padi" who dedicates a temple to “his lady” — a goddess whose name was spelled with the consonants "Pt[ ]yh", which is very reminiscent of the goddess 'Potnija' (i.e., “mistress,” “lady”) recorded on Mycenaean Linear B tablets. See Demsky Aaron, 1997. The Name of the Goddess of Ekron: A New Reading, JANES, 25, p. 3. An great little pdf describing Tell Tayinat can be found here. See also The Tayinat Archaeological Project (TAP) website.